Despite our late night at Magic Kingdom the jet lag kicked in and Harry and I both woke up at the crack of dawn. After fighting to get just a bit more sleep we both got up and I used the time to unpack our luggage while Harry walked through our sleepy resort to pick up our resort mugs that were included in our dining plan. Unfortunately he came back empty handed as due to the trial of mugs without handles coming to and end stock had not been replenished and there were only pink and purple ones left. We decided to make a trip to All Star Music and see if we fared any better there later on (but later we found out it was a Disney- Worldwide shortage and settled on matching purple ones). 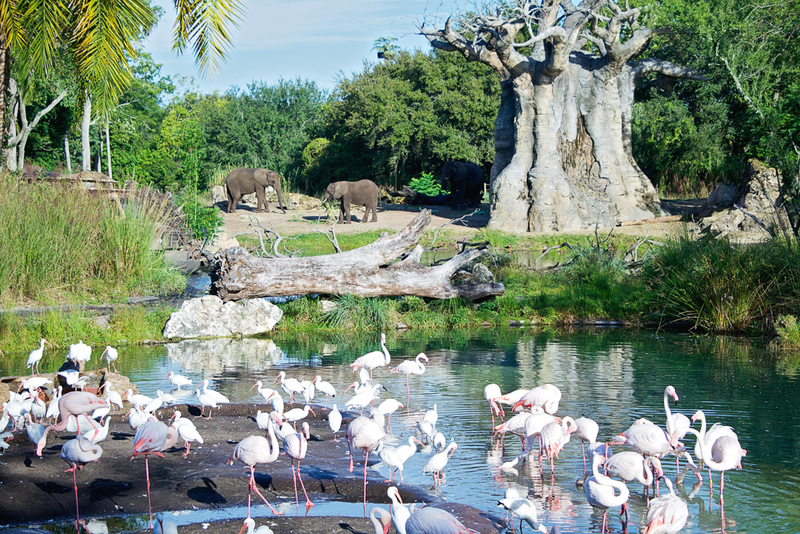 It was then time to set off for our breakfast reservation at Animal Kingdom with a drive that took all of about 5 minutes. We arrived at a pretty empty parking lot and, after informing a cast member of our early morning reservation headed into an even emptier park! Luckily there was a castmember walking past the Tree of Life who offered to take a photo for us. It's worth getting a reservation before park opening for the photos alone but the stillness of the park as the sun rises is really peaceful, especially when the rime difference has suddenly made you a morning person! 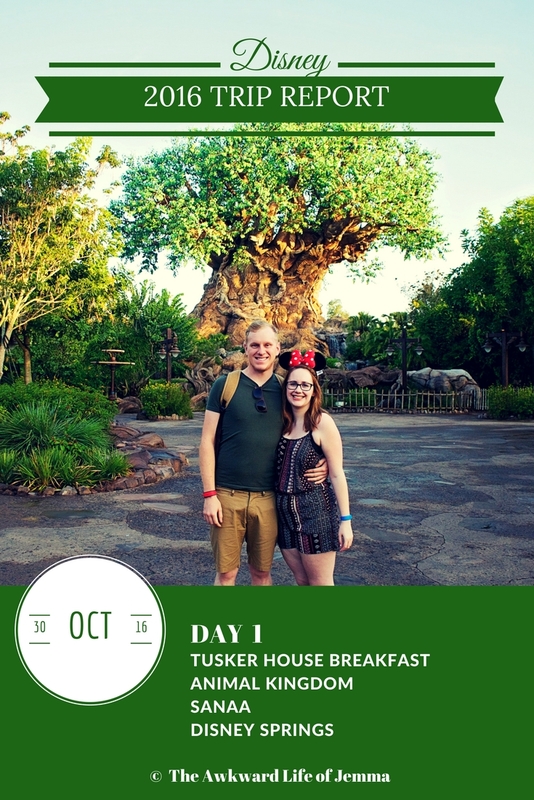 We ambled around to Tusker House where we checked in and were shown to our table within a couple of minutes. The restaurant is themed like an African marketplace and has a few large dining rooms off of the main buffet. It seemed like the reservations were seated in a clockwise fashion, as our dining room was only just starting to fill up as we sat down and this seemed to follow the same path of the characters. Not wasting anytime we headed straight up for food and found quite the selection. One of the pros of Tusker House is that it offers all the classic Disney breakfast favourites (yes I'm talking Mickey waffles!) but there's also the opportunity to try some more adventurous dishes too. My favourites were the carved ham and Krispy Kreme donut holes, but I also tried the bread pudding and a sweet rice dish, and of course I washed it all down with Jungle Juice! My only gripe was that it seemed to take an age for the characters to reach us, and by this point the park had opened and we could spot other guests walking past the restaurant to the rides. Before the characters came round a stressed attendant ushered everyone to get their cameras and autograph books out and the interaction did seem a bit rushed. Donald and Mickey (who went off for a musical parade around the restaurant just before he reached our table) were lovely though but we left before meeting Goofy and Daisy. (Breakfast Total: $64 + tax & tip). Leaving Tusker House we headed just around the corner to catch an early morning safari. I've heard the earlier the better for seeing the animals and it may be a coincidence but it was certainly one of the best safaris I've been on. We saw so many different animals, some very close to our vehicle, and got some great views of my favourites, the rhinos. 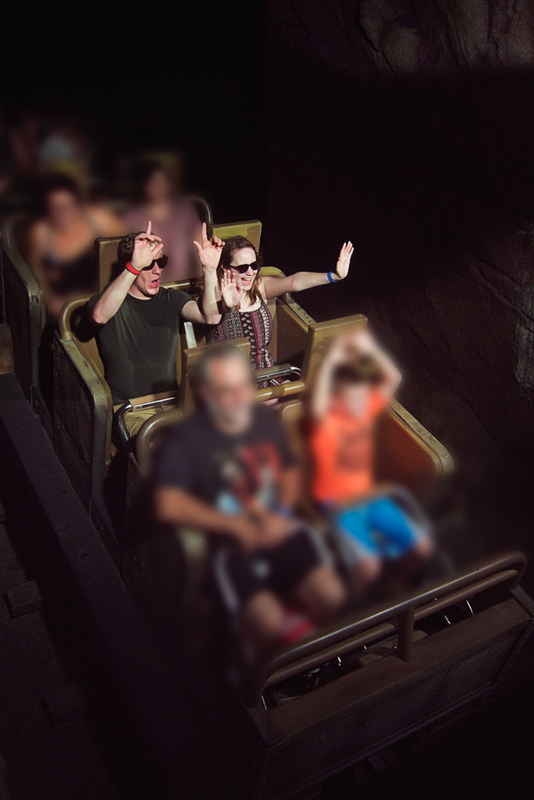 We decided to break up the animal viewing by taking advantage of the short line for Expedition Everest before the Fastpass+ we had later on. 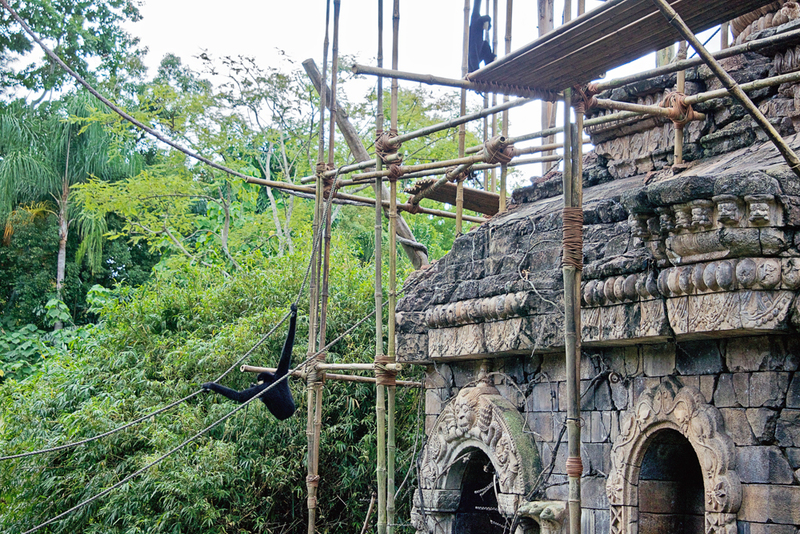 There's so much to see in the Standby line and it really builds on the story of the Yeti and the Himalayan culture. The ride is obviously great too, we opted to queue for the front and it was worth it for the view it offers from the top of the mountain. If only they could get the Yeti animatronic working properly again! Before we headed further into Asia we hopped on over to the Tree of Life to see some of the best performing bugs. 'It's Tough to Be a Bug' isn't one of my favourite attractions but it's nice to get a bit of air-con and I think it's cool that it takes place inside the tree itself. 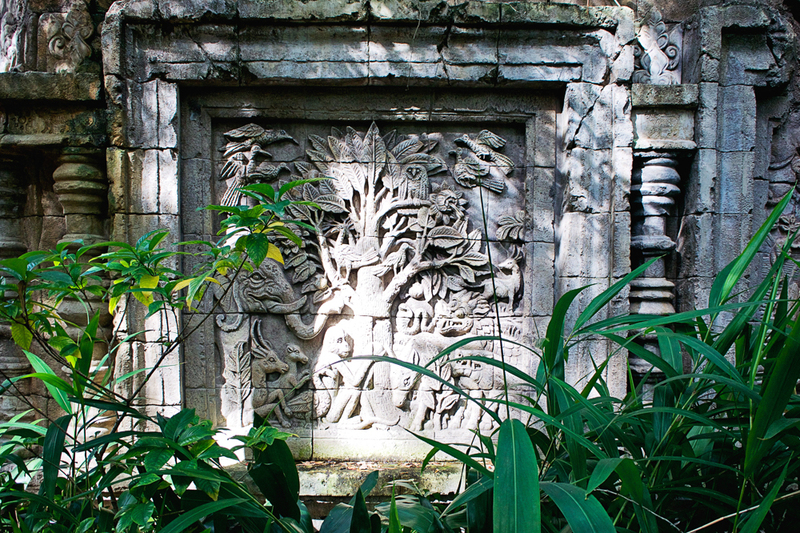 Next up we had just enough time to explore the Maharajah Jungle Trek before our Kali River Rapids Fastpass+. 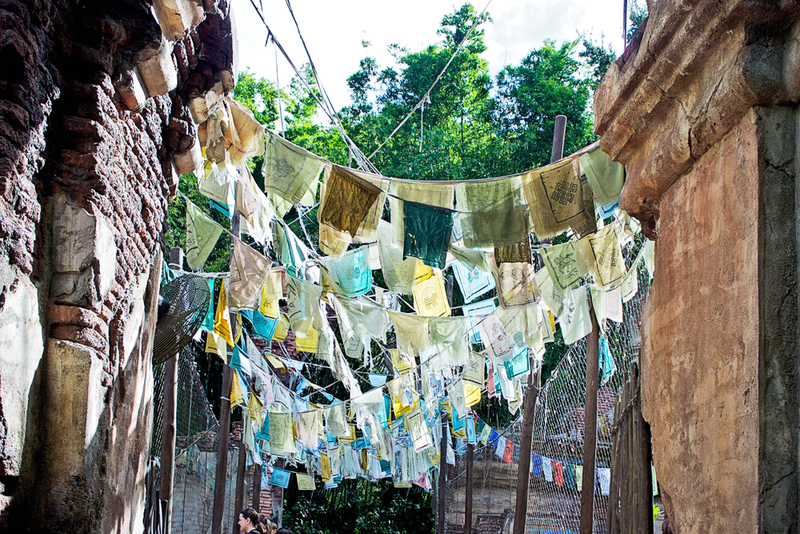 Theming is always something that Disney does well but I think they excelled at the area around Everest and the exploration trails, I love seeing the prayer flags everywhere. We spotted a Komodo dragon, bats hanging upside down, some sleeping tigers and some deer being startled by a bull but my favourites were the gibbons because they're so funny, I'd happily watch them swinging on the ropes all afternoon. 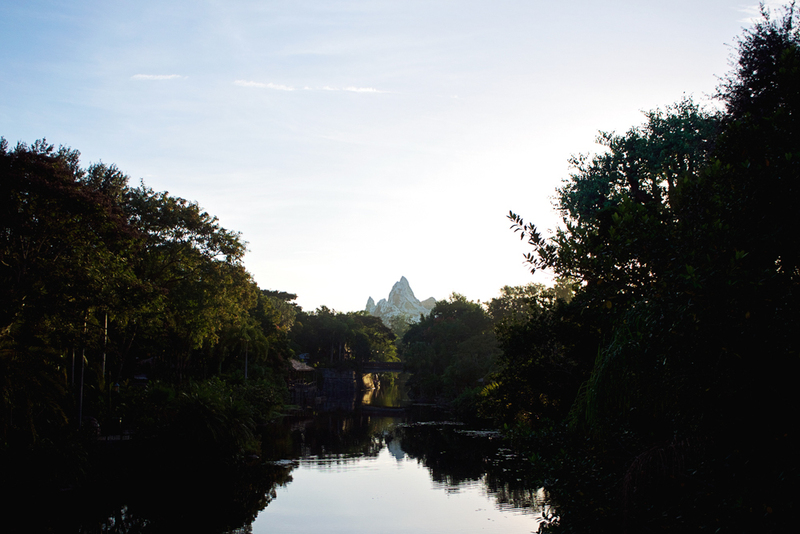 It was now time to crack on with our Fastpass+ with a trip down the Kali River. We took advantage of the free lockers before boarding the raft and proceeding to get soaked! With the sun now high in the sky it didn't take us long to dry off and after catching a breeze on Expedition Everest again using our next Fastpass we were good to go and catch a seat for Finding Nemo: The Musical just before the doors closed without freezing in the air-con! I like the show and find 'Big Blue World' frustratingly catchy but it is a bit on the corny side. Our Dinosaur Fastpass had been cancelled due to the refurbishment and we didn't quite fancy Primeval Whirl so we skipped out on Dinoland and instead went straight to lunch at Flame Tree BBQ. We grabbed a ribs, chicken and pulled pork sampler and swapped the dessert for fries which gave us plenty of food to share. ($26.67 inc drink). Having done everything we wanted to do at Animal Kingdom for the day it was time to head out of the park and pop to Publix to pick up some supplies for our trip (bottled water, breakfast drinks and cereal bars that we could grab and take with us in the car on the way to the parks) and I also needed to pop into Target and pick up a new eyebrow pencil as mine didn't to make it to Orlando with us! After our shopping break and a quick rest back at our room we headed down to the All Star Movies lobby to finally pick up our refillable mugs so we could get some drinks and also took the opportunity to look around the gift shop. It was bigger than I expected and I was pleasantly surprised by the variety of toys, souvenirs and homeware as well as their 'sundries' section. We didn't dawdle too long though as we had a dinner reservation at Sanaa! 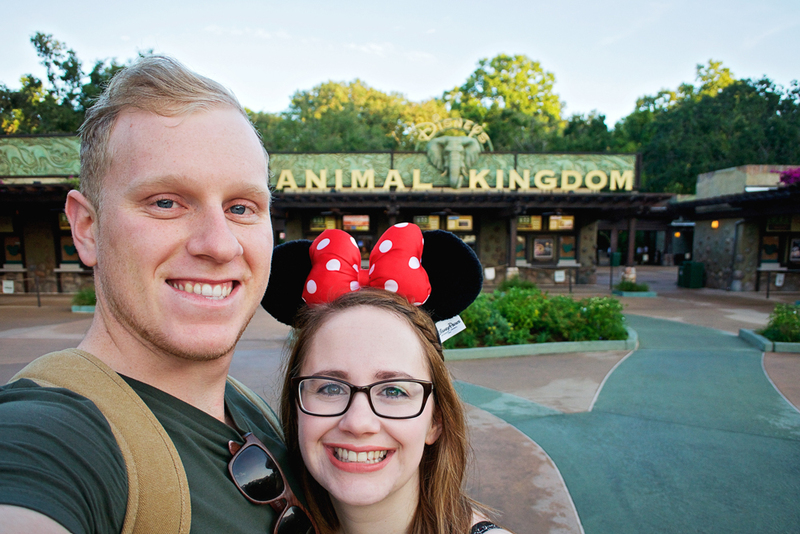 The parking for Kidani Village at Animal Kingdom Lodge is in a multi-storey parking lot and the lift brought us out into a random corridor in the hotel building so we were a little confused but eventually we found the main lobby and followed the signs to the restaurant. The lobby here is much smaller than at Jambo House but it still has it's own view over the Savannah. When we checked in we asked to wait for a window table and were given one round to the side of the restaurant in a nook with windows that made up part of the lobby above straight away rather than one of their main window arches but that was fine by us. We didn't get the bread service as it wasn't included with the dining plan (don't worry I fully intend to order it in the lounge on another trip!) but the food was filling enough that we didn't need it. I had the Potjie Inspired and chose Butter Chicken, Braised Beef, Cilantro-Coconut Vegetables with Basmati rice ($26) which was presented beautifully and had so much flavour (even the veg!). Harry had the Braai Sampler Trio ($33) which was equally as good though a bit more of your traditional meat, veg and potatoes. For dessert I had cheesecake which was thick and creamy and Harry picked the African Povu which was a very dark chocolate and coffee mousse, I preferred mine! I really enjoyed our meal here, our table was cosy and quiet away from the rest our the restaurant (which didn't seem to be busy, but it was early in the evening as we wanted to see the animals before dusk) and our server was friendly and enthusiastic. Of course one of the main draws is the animal watching and although we didn't have a central view, when the animals did stroll past it was mesmerising. 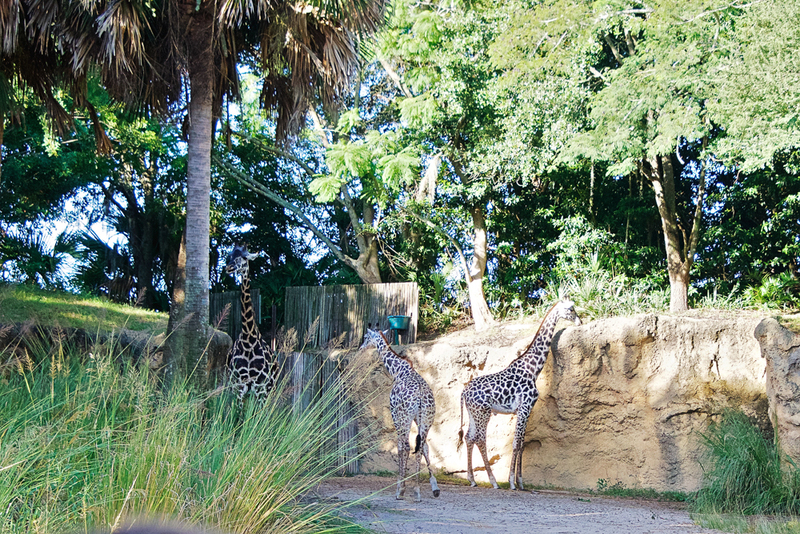 We even drove over to Jambo House and took a stroll around the Savannah at Jambo House after we'd finished. 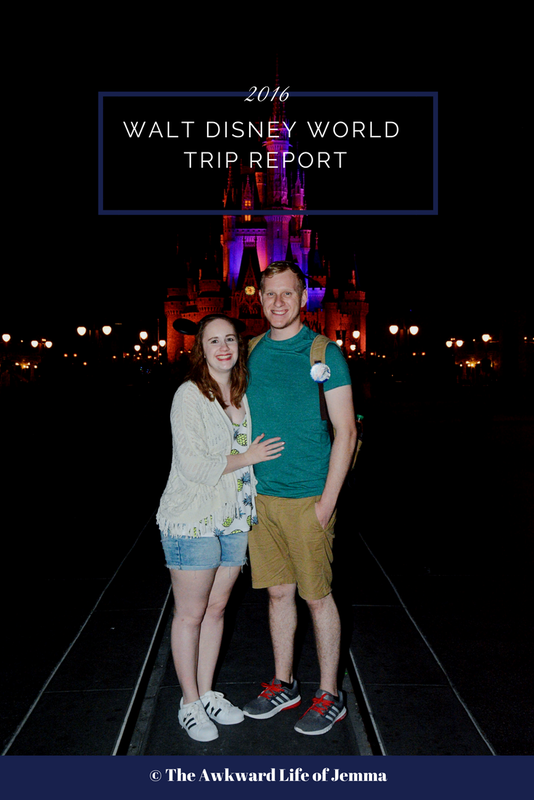 As the night was still young we decided to drive over to Disney Springs instead of having an early night in our room. It's the first time we'd been there since the new town centre had opened so we parked in the Orange parking garage and headed straight up the winding ramps of the Coca-Cola building to the rooftop terrace for a panoramic view. Still slightly clueless as to the new layout we took a walk through the Town Centre towards somewhere we knew, World of Disney! We had a good look around, along with the Lego Store, to get an idea of what future purchases may be in store and then ran into a live performance (my favourite part of evenings at Disney Springs) and decided to sit and chill for awhile and enjoy the music and people dancing. As we started to get tired we did a quick lap of the Marvel store (which we were a bit disappointed by, nothing in there you couldn't' get in other shops around Disney) before getting the car and going home! It was then that I realised the mistake I'd made in not picking up a plush Stitch on our travels and Harry very kindly, and slightly begrudgingly, went down to the resort gift shop to buy me one. With Stitch under my arm it was finally time to get some sleep! 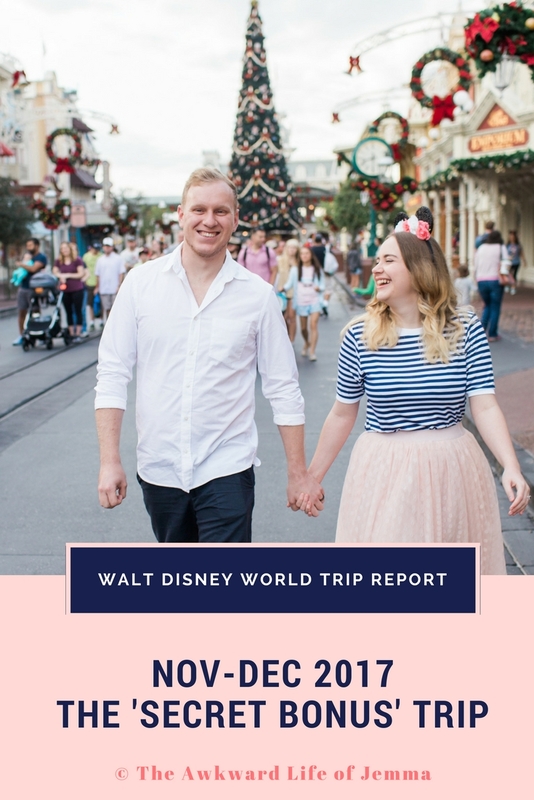 Read about the day before: Day 0 - Pre-Trip Report, All Star Movies Review, Travel Day & Magic Kingdom!